Dry well problems can not only be a nuisance, they can also cause property damage. 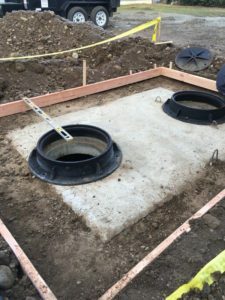 Need dry well repair in Enumclaw, WA? We have got you covered. If you regularly notice any standing water in your yard or near your property, it may be time to have dry well repair in Enumclaw. Another sign that indicates the need for dry well repair is water leaking in the basement or the garage after a heavy rainfall. We have specialized tools and training to perform a quality dry well repair. No job is too big or too small. We can also help you with dry well rejuvenation. 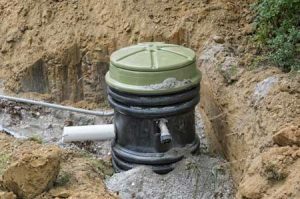 Commonly found on older properties, a dry well system collects rain water from driveways and other paved surfaces. A dry well system is dug below the surface so that rain water can flow down. Fortunately, a dry well system requires minimal maintenance. One of the problems to watch out for is the lid blocked by leaves and other debris. If any buildup is preventing rain water from flowing into the dry well system in your Enumclaw property, call us. 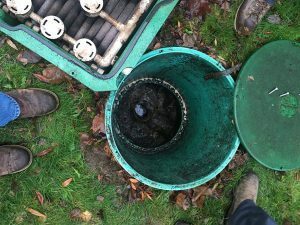 We can provide a dry well system inspection and cleaning to ensure your system is working efficiently. One of the most common dry well problems is that, over time, soap, scum, and solids can block the wall openings. As this accumulation continues, water fails to filter out of the dry well system properly. Think you may be facing dry well problems in Enumclaw? Do not panic! Call us and we will be there to perform a quick, reliable dry well repair. Any dry well problems can be annoying. Rest assured we have the diagnostic skills and technology to get to the source of the dry well problems and perform a quality repair. Is your dry well full of water? Call the pros at Vac-Tec, LLC to schedule a dry well repair in Enumclaw. You can reach us at (206) 339-0039.